13" X 13" X 3 1/2" Fast Pack XD-1 NSN 8115-01-057-1243. Price per each. Sold by case only. 6 per case. Call or email BIISCO for quote. Price: Call or Email BIISCO for quote. 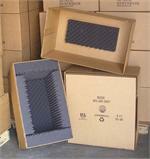 XA4 VERTICAL STAR PACK Charcoal foam per MIL-PRF-26514. 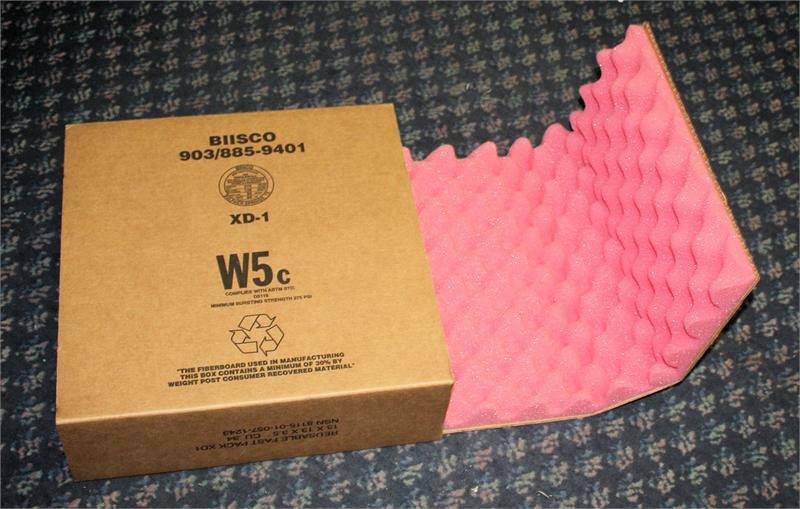 6-point star foam centers. 3 cushioning components. V3C corrugated cartons. Price Per Each (Minimum 1 Case) Shipping Extra Call or email BIISCO for quote. 24 x 14 x 14 Fast Pack XE-3 PPPB1672 Shipping Extra Call or email BIISCO for quote. 24 x 18 x 16 Fast Pack XE-7 PPP-B-1672. Shipping Extra. Call or email BIISCO for quote. 30 x 16 x 14 Fast Pack XE-1 PPP-B-1672 Shipping Extra. Call or email BIISCO for quote. 30 x 27 x 14 Fast Pack XF-1 PPP-B-1672. Shipping Extra Call or email BIISCO for quote. 32 x 12 x 14 Fast Pack XE-2 PPP-B-1672. Shipping Extra. Call or email BIISCO for quote. 32 x 18 x 16 Fast Pack XE-6 PPP-B-1672. Shipping extra. 34" x 24" x 18" Fast Pack XE-9 PPP-B-1672. Fast Pack Shipping Extra Call or email BIISCO for quote. XA1 VERTICAL STAR PACKS Charcoal foam per MIL-PRF-26514. 6-point star foam centers. 3 cushioning components. V3C corrugated cartons. Price Per Each (Minimum 1 Case) Call or email BIISCO for quote.